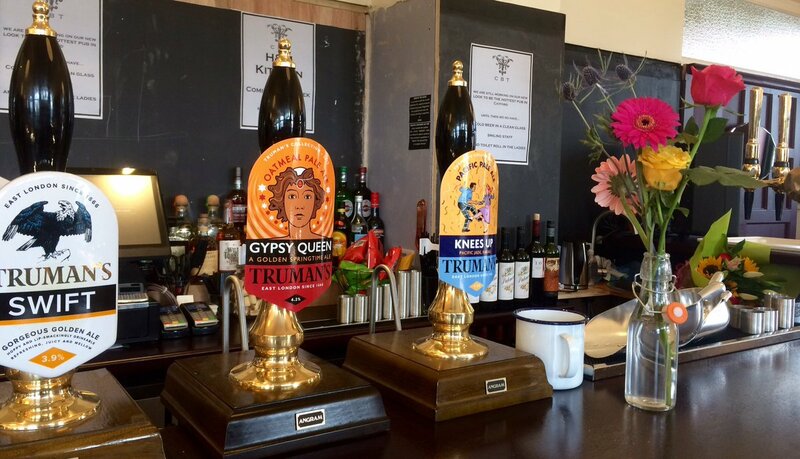 We were recently asked to create two illustrations for Truman’s beer pump clips. The first clip was named “Knees Up”. 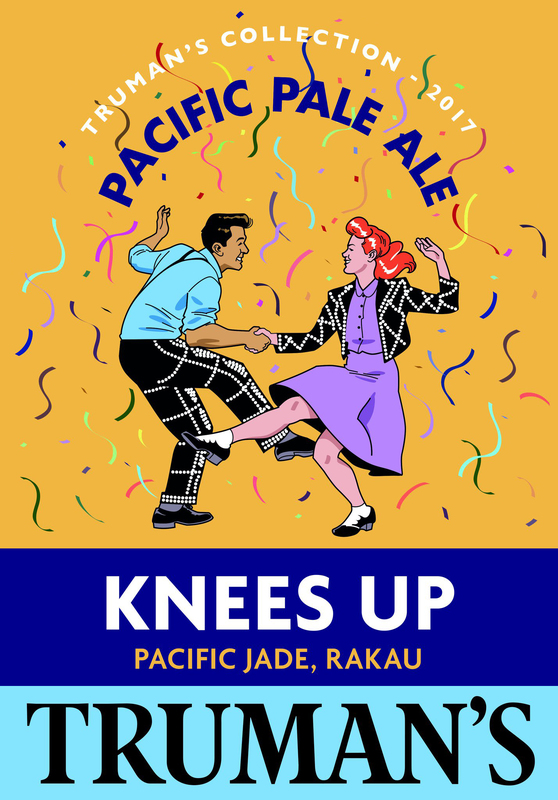 This beer is meant to represent a proper East End knees up. The concept idea was to have a guy and a girl dancing and having a good time, with the guy wearing pearl trousers and the girl wearing a pearl jacket. 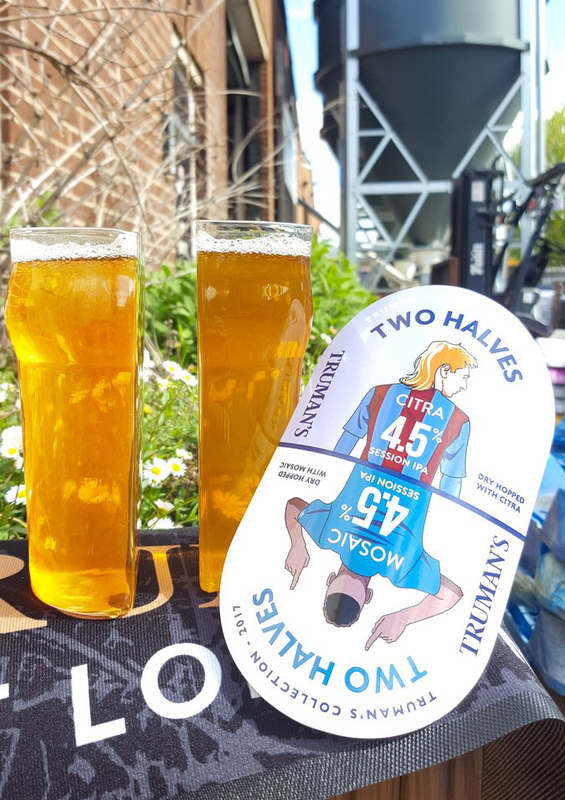 The second was named “Two Halves”. The concept was for 2 beers that will use one clip. The clip will be flipped around 180 degrees when one beer finishes and the next goes on. Truman’s would be launching the idea around the end of the football season. We were asked to create two sides – one side that will have one footballer with a classic 80s mullet, and the other with a more modern Pogba style shaved head. The name on one player is to be Citra, and Mosaic on the other. The number on the back of both shirts is to be 4.5% (representing the ABV). We were asked to keep the overall style close to Truman’s existing style, so looked at their other pump clips as reference.